Traction for neck pain is a treatment modality using a variety of orthopedic devices that seek to restrict neck movement, while simultaneously attempting to separate the bones of the cervical spine. Traction is a traditional treatment for many forms of neck and back pain, among other types of skeletal injuries. Most uses of traction are aimed at suspected pinched nerve conditions, facet joint syndrome and even central spinal stenosis sufferers. When it comes to cervical spinal traction, there are many therapeutic options and products available. Traction may be prescribed by a physician, a chiropractor or some type of specialized therapy provider. However, traction is rarely medically indicated and sometimes does more harm than good, especially when used for an extended duration of treatment. This essay explores the use of traction for treating injury and pain in the neck region. We will detail the types of treatment used, their therapeutic objectives and the lesser discussed downside of traction for the cervical spine. Traction is a truly antiquated treatment that has been used for centuries for a variety of medical concerns. The therapy involves restricting a person’s movement in the treated area, while also stretching out the region to create more space between the vertebrae. Traction used to be standard care for virtually all types of acute spinal injury and chronic neck or back pain. This was due to the limited options available many years ago, as well as the general misunderstanding as to what was actually causing the pain. Traction began to fall out of favor decades ago and has virtually disappeared as a medical treatment for most types of neck pain in developed countries. Some complementary caregivers, including many chiropractors, still embrace the general application of cervical spinal traction as a treatment for all types of neck pain, as well as for preventative healthcare reasons. This philosophy has put these treatment providers at odds with the rest of the traditional medical community which has abandoned the practice due to a proven lack of efficacy for most diagnosed conditions and the obvious negative considerations of traction care. 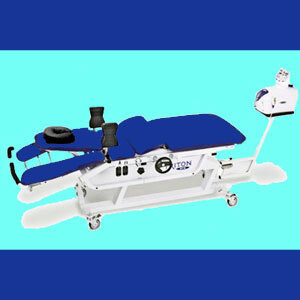 Modern nonsurgical spinal decompression, such as that offered by the DRX9000, AccuSpina and Antalgic-Trak systems is the most enlightened use of traction in the medical sector today. These treatments can help patients who are suffering from specific types of pain; primarily those enacted by cervical disc pathologies and some types of cervical arthritis. Treatment is intensive, short-duration and of finite term. Some neck braces can provide traction, offering inflatable designs or attachments for pulley systems that are often mounted on a wall or doorframe. Most of these products would be laughable, were they not so expensive and possibly dangerous. Collar and pulley systems are used by many patients, sometimes for many hours each day. Cervical collars are often worn during all waking hours and might even left on during sleep for some patients. There are many traction devices that use a reclined posture to provide separation of the cervical vertebrae, usually be means of some structure that sticks up into the back of the cervical spine, cranking the neck forward. Once again, these devices would be comedic if they were not so pricey and potentially hazardous. Hands-on traction is still provided in many chiropractic offices, using such modalities as spinal adjustments and Cox Technique. Physical therapists and osteopaths might also occasionally engage in traction for some patients, especially in areas of the world that have advanced slowly in terms of medical knowledge development. 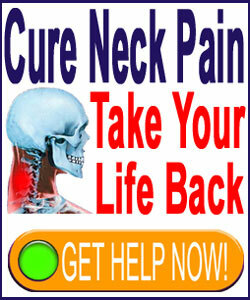 Bedridden rack and pulley systems are the most extreme form of cervical traction for the neck. These devices force the patient to remain immobile in bed for days, weeks or months at a time. Inversion tables are popular home-use products that provide traction and claim other health benefits, as well. There are unfortunately even more home-use products that provide traction, mostly consisting of plastic garbage that is marketed to desperate and naive people under the guise of medical care. Some rare conditions and neck injuries may actually benefit from even the most drastic forms of bed-ridden traction. However, these types of cases are very seldom seen and usually allow for alternate means of therapy that work better and have fewer possible complications. On a positive note, some of the lowest-priced traction products are quite harmless, since they do not actual immobilize the neck, nor do anything to act on the spinal structures. The positive here is that these do not do harm, even though they are likely a waste of time, money and effort. Many patients have suffered injury and exacerbated pain from manual tractioning performed by chiropractors and therapists. Some have suffered similar pain problems using the best forms of modern spinal decompression. Long-term traction is well known and proven to deteriorate the muscles of the neck, causing atrophy, weakness and pain. Some patients have also suffered actual skeletal changes that caused frozen joints in the spine or shoulder from long periods of traction device use. A few unfortunate patients have been killed or gravely injured by a variety of traction devices that literally hang a seated person by their neck. Others have suffered similar death or injury from various neck collar products that caused strangulation, often during sleep or upon becoming caught on some object. The worst downside of traction is the simple proven fact that it is not beneficial to 98% of patients treated with it. In essence, these people have no need for traction and the methods used do nothing to achieve the therapy goal of vertebral separation or movement restriction which justify their use. The best forms of traction, such as modern spinal decompression, definitely have a place in the medical system and have shown themselves to be effective for some types of pain. Traditional physical therapy and chiropractic applications of short-term tractioning, performed by the doctor’s hands, may be valuable to some patients with particular conditions and diagnoses. Over the years, we have seen and reviewed countless products, all of which were sent to us by their designer, manufacturer or distributor. We have yet to see one that is logical, effective or free from the general hazards of virtually all forms of long-term traction. Most of the devices that apply continuous traction to the neck via pulley, collar, springs, inflation device or added rings, are virtually always contraindicated, ineffective and possibly dangerous. The vast majority of these devices will only demonstrate any benefit through placebo effect, if any positive effects are attained at all. Worse still, these devices are sold exclusively to generate money and the manufacturers usually know very well that the product provides no tangible benefits. Qualified care providers who sell these products cheapen their practices and really show the underlying financial motivations behind their choice of vocational path. Be wary of these types of care providers.